Although being a mom can be one of the greatest pleasures life has to offer, new mothers can attest to the many changes the body goes through that can be difficult to reverse after having children. Plastic surgeon Christine Petti, MD can help you get rid of stubborn extra fat in virtually any body area, rejuvenate the breasts for a more youthful aesthetic, and flatten the tummy for a more fit appearance with a Mommy Makeover. This procedure is extremely effective at getting you back to your pre-pregnancy figure by giving you a combination of options to address a variety of areas you would like to restore. It’s one of the many ways Dr. Petti is helping women renew their bodies, and their spirits, with comprehensive aesthetic enhancement that can make you look, and feel, your very best! Contact Dr. Christine Petti to schedule a consultation. These issues and more can all be addressed with a Mommy Makeover from our Los Angeles-area plastic surgeon. A doctor, as well as a mother, Dr. Christine Petti understands the changes that many women undergo after pregnancy, and she can help you restore your body with results that look natural and beautiful! Mommy Makeover procedures often involve a combination of aesthetic enhancement options that can be performed in tandem, or over a series of appointments with Dr. Christine Petti. At your initial consultation at Palos Verdes Plastic Surgery Medical Center, Dr. Petti will discuss your goals with you and, together, you will decide which options will be the best to meet your needs. Dr. Petti will explain all aspects of the procedures with you, including details on risks and benefits, and recovery after the procedure. Smartlipo Triplex™ is a minimal-downtime liposuction technique that not only removes pockets of fat from virtually anywhere on the body, but also tightens the skin for a smooth appearance. Smartlipo Triplex™ uses fiber optic laser technology, which allows for extremely small incisions and virtually invisible scarring after the procedure. Dr. Petti is one of the first plastic surgeons on the West Coast to use this revolutionary method of liposuction. After pregnancy, many women experience sagginess and extra skin in the breasts. Dr. Christine Petti can address this with a breast lift as part of a Mommy Makeover. By removing excess skin and redraping the skin of the breasts, Dr. Petti can tighten the area and lift the breasts to a more desirable position, giving you a more youthful, ’perkier’ bustline. In addition to a breast lift, Dr. Petti can place silicone or saline implants inside the breasts to add fullness to the bustline. Dr. Petti is extremely skilled and experienced with breast enhancement procedures, tailoring procedures to suit your goals. Breast lift with implants can rejuvenate and enlarge your breasts after pregnancy with beautiful, natural-looking results. Of course, the most obvious area affected by pregnancy is the mid-section, and for many people, it is particularly difficult to lose the appearance of extra fat in this area even with rigorous diet and exercise. A tummy tuck (abdominoplasty) allows Dr. Petti to tighten the underlying abdominal muscles that are often pulled apart during pregnancy. The extra skin is removed, and the remainder is pulled taut to give you a flatter, more fit-looking stomach. BOTOX® Cosmetic and an array of injectable dermal fillers such as collagen, JUVEDERM™, and Restylane® can provide significant rejuvenation to facial signs of exhaustion, stress, and aging. Dr. Christine Petti can also plump up the lips and add volume to facial features for new moms who want to enhance the contours of the face. Learn more about injectable facial rejuvenation using JUVEDERM™ and Restylane®. New moms can enjoy the gifts that motherhood offer while looking terrific and feeling great about their appearance, and a Mommy Makeover from Dr. Christine Petti can help you achieve that! Contact Palos Verdes Plastic Surgery Medical Center for more information on Mommy Makeover procedures, or to schedule a consultation with Dr. Petti. Dr. Petti has compiled some questions most mothers ask during the preliminary consultation to help you decide if a Mommy Makeover may be suited for your needs. Of course, any additional questions you may have will be addressed during your consultation. Dr. Petti takes the time to listen to each patient’s unique concerns to help her make informed decisions about her health and her body. Ideal candidates for a Mommy Makeover are mothers who wish to regain their pre-pregnancy figure after childbirth and breastfeeding. Candidates for a Mommy Makeover typically share cosmetic concerns that include restoring lost breast volume, elevating the position of the breasts, removing excess skin from the abdomen, and repairing stretched or torn abdominal muscles that can cause the belly to protrude. Good candidates for a Mommy Makeover are already at or near their target weight but have areas of the body that have proven resistant to diet and exercise efforts. Candidates should also be in good overall health and avoid tobacco products. 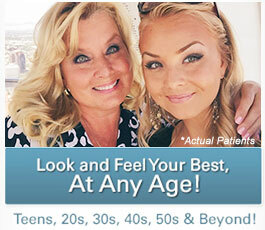 A consultation with Dr. Petti is the best way to accurately determine whether a Mommy Makeover is right for you. When is the best time to schedule a Mommy Makeover? Dr. Petti believes the best time for mothers to consider a Mommy Makeover is after they have finished breastfeeding and do not plan on having more children. Your customized treatment plan is designed to address the changes to your body that have already occurred as a result of pregnancy, childbirth, and breastfeeding. Although future pregnancies are still safe for both the mother and the child, the results of a Mommy Makeover can possibly be compromised by an additional pregnancy. When needed, follow-up procedures can be performed after another pregnancy if a mother wishes to restore her initial results. 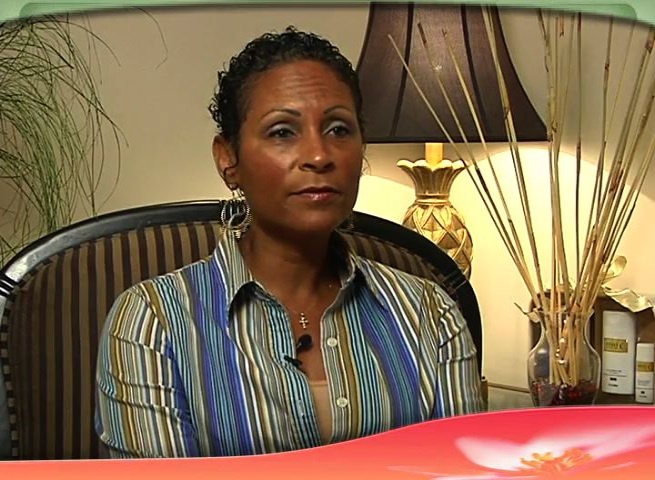 What should I expect during my recovery from a Mommy Makeover? Since each Mommy Makeover procedure is customized for the individual patent, the nature of the recovery will vary depending upon which procedures are performed. Some patients may have several procedures scheduled over a series of office visits rather than completed all at once. In most cases, surgeries such as tummy tuck or breast lift require one to two weeks before patients feel comfortable returning to their normal daily activities. 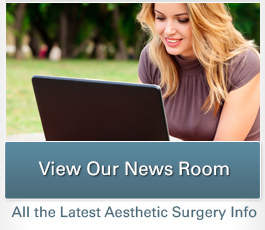 Procedures such as liposuction typically have a more abbreviated recovery period. Dr. Petti also recommends that most Mommy Makeover patients wait several weeks before resuming rigorous exercise or strenuous physical activity. During the initial consultation, Dr. Petti can provide more specific recovery information based upon your customized treatment plan. Due to the variable nature of each Mommy Makeover treatment plan, the price of the procedure can vary significantly from patient to patient. Factors that influence the cost of a Mommy Makeover can include the total number of individual procedures, which procedures the candidate chooses to combine, the complexity of each chosen procedure, the experience of the plastic surgeon, and the geographic location of the practice. Hospital fees, anesthesiologist fees, and post-operative medications will also impact the final cost. At the end of your consultation with Dr. Petti, she can quote you a price for your Mommy Makeover based upon your customized treatment plan. For patients who could benefit from payment plans with low monthly installments, our practice offers a number of financing options. If you are ready to learn more about the new look your Mommy Makeover could achieve, contact our practice to schedule a consultation with Dr. Petti.